THIS Thursday the National Veteran Cricketers Over 70s Championships will commence with a match at Read Park, Tewantin. It will be played between the Queensland Stormers and last year's national champions, the Victorian No 1 side. The Stormers will be captained by local cricketer, Gary Madsen, an Australian Veterans representative. Other locals in this team are Charlie Harrison and John Williams. On Friday, the third Queensland side, the Monsoons, including local player John Norden will play the Victorian No 3 side also at Read Park. The other TNCC player selected in the Queensland Cyclones team is Nev Kratzmann, father of TNCC First Grade player, Andrew Kratzmann. The Queensland Cyclones won the national championships in 2014 and 2016, so they are planning to bring the shield back to Queensland this year. The matches will continue at Tewantin next Monday with the finals to be played at Yandina and Maroochydore on Tuesday 18th. All matches commence at 10am and will be played on a fifty-overs-a -side basis. 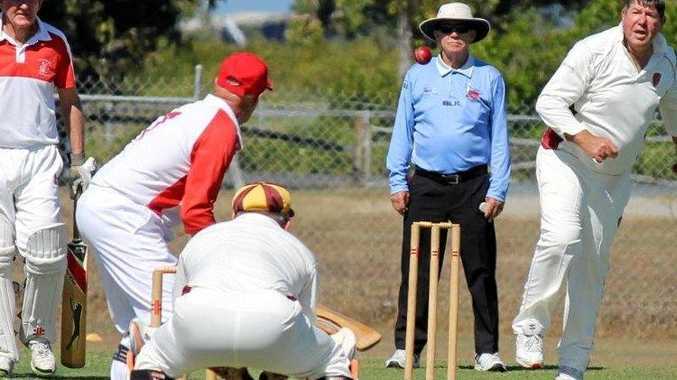 The Sunshine Coast teams performed very well in the South-Queensland Veteran's Cricket competition during winter and won the Geoff Dymock trophy in the Division 1 final. Next season the Sunshine Coast will be entering two Over 50 sides in the competition and welcome enquiries from anyone interested. The contact is Gary Madsen on 0411 218 326. Local cricketers, Kent Officer and ex-Sheffield Shield player, Bob McGhee have recently been selected in the Queensland Over 50 team and will play in the National Championships later this year. Following these championships, an Australian team will be selected to play in the Over 50s World Cup.